You can only fully enjoy your pool and spa if they are kept in good working order all year long. This is where our experienced spa and pool technicians at Perth's Solar Pool Man can help. We offer complete pool and spa services to keep your pump, filters, cover, skimmers, timers, chlorine dispenser, pool covers and rollers, and all other essential parts working at their peak at all times. We are also experts at solar, electric and gas pool heating systems and can advise you on everything you need to know about keeping your pool water warm and extending your swimming season well beyond the three or four summer months to all year round. Get your pool and spa ready early at the beginning of the season so it is up and fully functioning just as the warmer weather arrives. Why waste any swimmable months? Call us sooner, rather than later, and we will have your water sparkling blue, warm and ready to plunge into the very first time you want to take a dip. Service your pumps, chlorinators, filters, change the filter sand (recommended every 5-7 years), repair pool covers, and carry out all other swimming pool and spa maintenance needs in the greater Perth area. Quickly find and install any replacement pool parts including heat pumps, solar covers, rollers, panels and collectors, manifolds, and PVC fittings that you may need so that your pool is available to enjoy all summer long! Advise you on DIY solar pool heating, if you prefer to install your solar system for yourself. 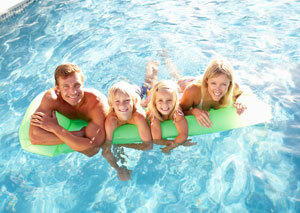 Or, if you prefer, we can install, service and maintain your solar, gas and all other types of pool heaters ourselves. For more than 20 years we have been installing and looking after pool heaters in both in-ground and above ground pools in all parts of Perth – North and South of the river as well as the Metro region –so we have become quite expert at what we do. The advantage of Perth's Solar Pool Man technicians is that we can look after your pool AND your solar pool heating system. Why call out two technicians when with Solar Pool Man you get two friendly, experienced experts in one? This could be the start of your most enjoyable swimming season to date. If you live in Western Australia and are looking for efficient, effective, hassle free pool and spa maintenance and expert pool heating advice, installation and services call Perth's Solar Pool Man today at 0433 093 156 or write to us via the Contact Us page on this website.